I love stalking Deviant Art for paper dolls and I have done it a few times before (here and here and here and here). I often find really beautiful things that I wouldn’t expect and strange things that I would. 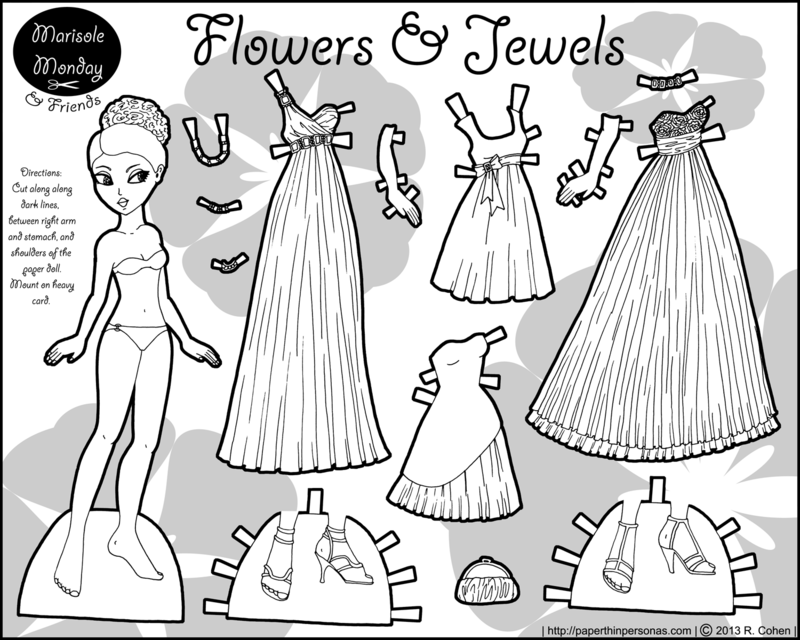 I adore the idea that paper dolls might be making a come back (okay… probably not, but maybe…) and so I am always intrigued by the options available. I should add that many of these artists have more paper dolls in their galleries…. I’ve just included whatever was my favorite. A bunch of Monster High dolls by MeganEliMoon, but they need some clothes, poor things. New Girl, Jess Day Paper Doll by emmapaigebrooks, a little NSFW, but cute none of the less. A charming gentleman paper doll named Isi by rockafellow, with more friends in the gallery. Arthur paper doll from the TV show Merlin by CandyMacaron and I’ve only see the episodes of the show, but it was fun. Paper Victims by ya-na and I think they’d wonderfully well done. Iron-Man Armory pick the armor thing by WolfeHanson and it’s for boys, mostly, so I included it, but the lack of tabs makes me wonder how you play with it, exactly. Glue perhaps? Digimon Paper Dolls of Miyako/Yolei Inoue by EternallyOptimistic and I confess to not knowing anything about Digimon, but the paper doll is cute. Check out this beautiful piece of direct mail from ModCloth… it’s enough to make me wish I had got it or that I shopped at ModCloth more often. Really cute Pride and Prejudice Paperdoll by bohae though her lack of a mouth kinda freaks me out a tiny bit. 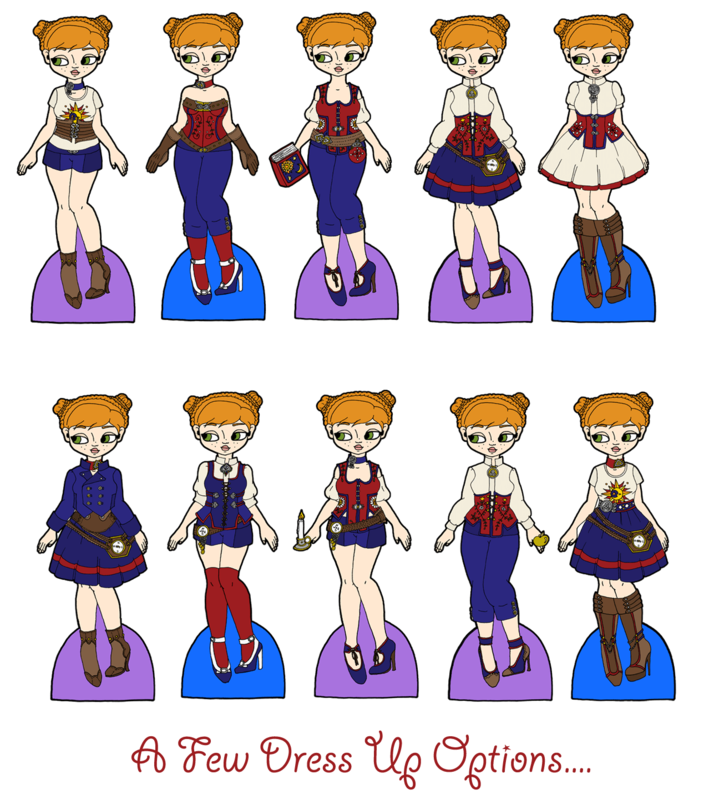 A modern paper doll of Disney’s Belle by Tella-in-SA whose quite cute… I’d wear most of her clothing anyway. Commission: Dress-Up Doppelgirl by KabukiKatze is a curvy superhero with beautiful red hair (and we all know my love of red hair…). Lady Gaga Paper Doll: Howard Stern Show by DibuMadHatter with the classic blond hair and red lips I always think of Lady Gaga with. What is possibly the coolest wedding invitation I have ever seen by whyamitheconvict… I seriously want this for my wedding… of course, I’m not getting married anytime soon, but if I was. Glinda Paper Doll part 1 by Lewis-James and I love her drapes of her skirt, even if I think Oz was a really bad movie. A really beautiful paper doll named Charity by anastasiaDAYW. The patterns on the costumes are fantastic. So that’s all for this set of links, feel free to browse my previous collections and you might find something else interesting. As I’ve mentioned before, my apartment flooded. After it happened, I moved. I got myself back together. I bought some new furniture. I had some wonderfully supportive friends. One of the things I did this weekend was update the Red Binder. The red binder is home to all important blog documents. What, you might not unreasonably ask, is the red binder? This is how I stay organized. It is called the “Red Binder” or, sometimes when I can’t find it, the “Where the @$^&@# Did I Put That Binder”, but usually the “Red Binder” and in it lives a copy of every serial paper doll on the site and quite a few of the non-serial ones. 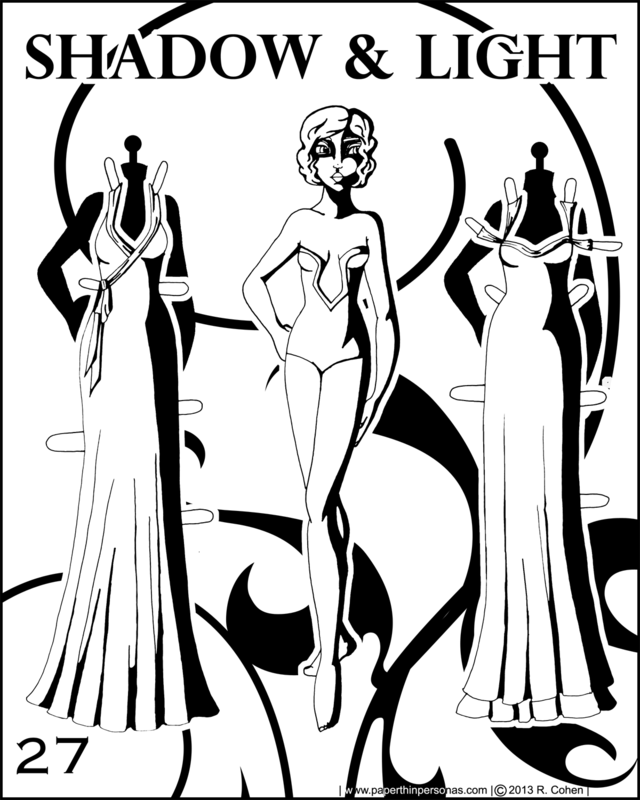 The most important blog documents are the master copies of every paper doll series. I have every paper doll base doll in a plastic sleeve in the binder with multiple copies (usually three to five) and this keeps me from losing the base dolls and it makes sure that I know where they are. Since I tend to sketch when I have time, I usually carry one to three base dolls with me, so I have something to draw off of if I’m watching a movie or have a slow evening at home. I don’t have a dedicated studio space, so I have to be able to carry around my art with me. The Red Binder usually also houses my calendar where I chart out what posts will go up when. Since I always have multiple things in the works, having a chart keeps me sane. It also allows me to prioritize. For example, if I have just done a fantasy set, I might choose to work on a modern set next for the same series or if I have a holiday coming up, then I try to remember to draw something for it. Though this year, it’s not looking likely that my Halloween project will be completed in time. If you’re planning on blogging about anything- paper dolls or otherwise- I recommend keeping a calendar and a binder. It’s helpful to have everything in one place. Any thoughts from other bloggers?